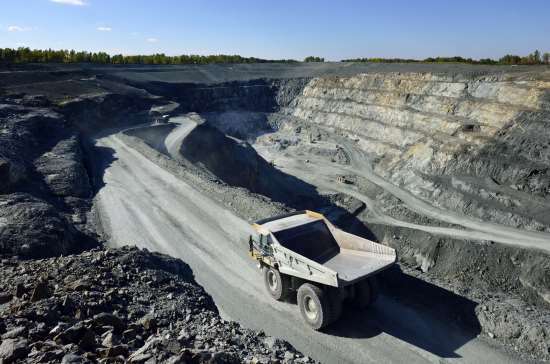 Americas-focused precious metals producer McEwen Mining has reported an updated mineral resource estimate for the Froome deposit, part of its Black Fox complex in the Canadian state of Ontario. The NYSE and TSX-listed firm also announced ‘highly encouraging’ exploration results from its ongoing US$15 million exploration programme at the Black Fox complex. In an update to the stock markets, McEwen confirmed that the indicated resource estimate for the Froome deposit has increased by 14% to 181,000 oz at a grade of 5.09 g/t gold. Drilling at the Froome footwall also intersected 53.93 g/t gold over 8.29 metres, including 322.86 g/t gold over 1.34 metres, along the footwall structure located about 150 metres North of the Froome deposit. Located in the established Timmins Gold Mining Camp, the Black Fox complex also includes the Grey Fox deposit along with the Black Fox-Stock mill and the already-producing Black Fox Mine. Meanwhile, in an earlier release McEwen reported an initial inferred resource estimate for the Stock East deposit, located on the Stock property that forms part of the Black Fox Complex. “Drilling started in February at Stock East, a target that was unexplored for over 20 years,” said McEwen exploration senior VP Sylvain Guerard. “The encouraging results from that campaign prompted us to extend drilling activities over a 2 km long trend that includes the Stock Mine, Gap and Stock East targets.